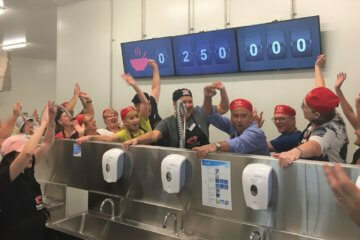 FareShare Kitchen Garden, Abbotsford made its television debut on March 11 on ABC TV’s Gardening Australia. Presenter Jane Edmanson visited our first garden back in September last year as we were pulling up carrots. Garden manager Susie showed Jane around the 70 beds alongside Victoria Park railway station and explained our strategy to plug gaps in our supply of rescued veg, with a focus on root crops such as carrot and turnip. The ABC film crew then followed our garden ute back to the kitchen to see how we are incorporating the home-grown veg in our meals for people in need. 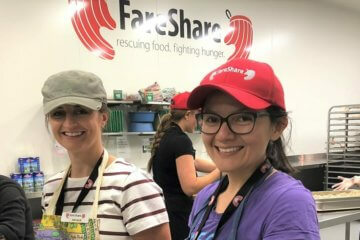 No story about FareShare is complete without cooking so general ops manager Kellie Watson led Jane on a tour of the kitchen where our chefs and volunteers served up veggie pasta and lamb casserole using ingredients harvested in the garden. 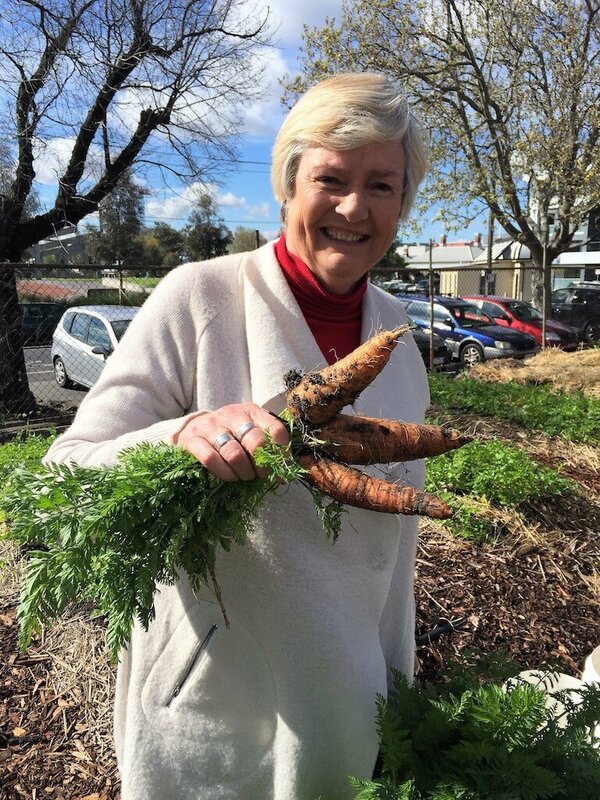 The kitchen garden, supported by RACV, was established in January 2016 on a waste ground between the train tracks and Victoria Park oval. 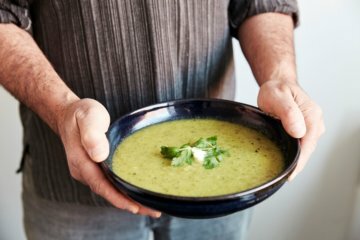 Since then it has produced 3.3 tonnes of fresh vegetables including zucchini, carrot, parsnip, turnip, leek, capsicum, eggplant, silverbeet, peas and parsley. You can see all the action here. Watch out for a number of garden volunteers who have cameo appearances and interviews. Happy viewing.